Perennial ryegrass is a cool-season perennial bunchgrass native to Europe. 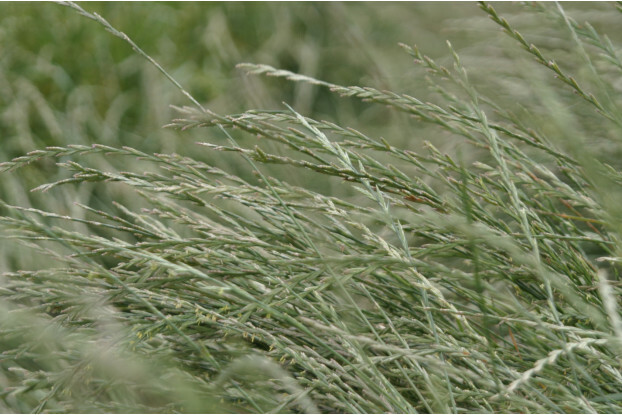 It’s one of the quickest pasture grasses to establish and is very high yielding. It can reach a height of two feet and is considered the highest quality pasture grass available. Extremely palatable and has a higher digestibility than other pasture grasses. Used extensively for lactating dairy cows. Perennial ryegrass prefers dark, rich soils with plenty of moisture. Not tolerant of hot, dry weather or severe winters. It can be grown without irrigation in areas receiving at least 15 inches of annual rainfall, but requires 30+ inches to reach its full potential.